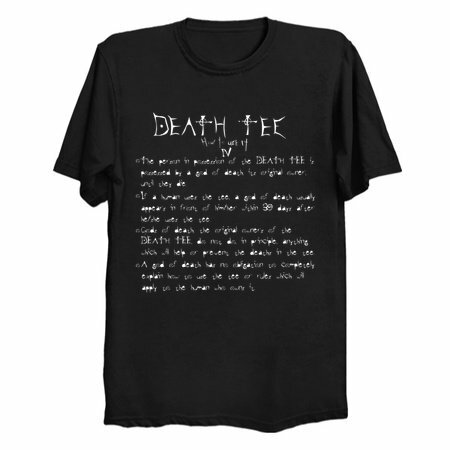 - The person in possession of the DEATH TEE is possessed by a god of death, its original owner, until they die. 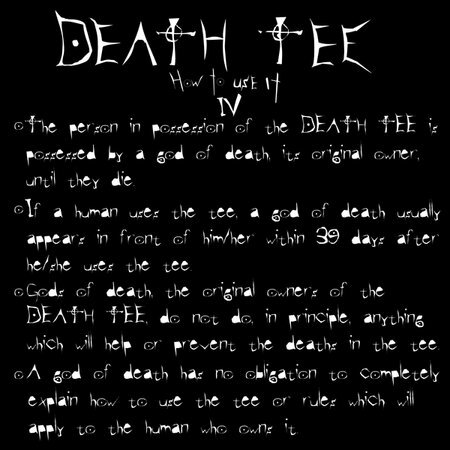 - If a human uses the tee, a god of death usually appears in front of him/her within 39 days after he/she uses the tee. - Gods of death, the original owners of the DEATH TEE, do not do, in principle, anything which will help or prevent the deaths in the tee. - A god of death has no obligation to completely explain how to use the tee or rules which will apply to the human who owns it.